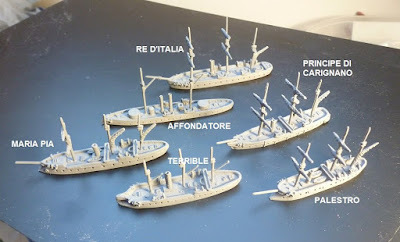 The Battle of Lissa took place on 20 July 1866 in the Adriatic Sea near the Dalmatian island of Lissa and was a decisive victory for an outnumbered Austrian Empire force over a numerically superior Italian force. It was the first major sea battle between ironclads and one of the last to involve deliberate ramming. I would like to make models all the ships present in the battle but need to drum up some more support so a bit of publicity might help.